Monet and the Modern City explores the artistic technique behind Claude Monet’s Waterloo Bridge series. Each of the three featured painting renders the effects of light, pollution, and fog over London's Thames River, and together the ensemble captures the Impressionist master’s fascination with the city's atmospheric conditions. In this exhibition, Monet's work joins a dialogue with other artistic contemporaries who explored the unexpected beauty of industrialization, both abroad and right here in Pittsburgh. Digital interactives allow you to experiment with light and color just like the Impressionists. Members enjoy special preview hours before it opens to the public! Two docents will be available in the galleries to answer your questions. 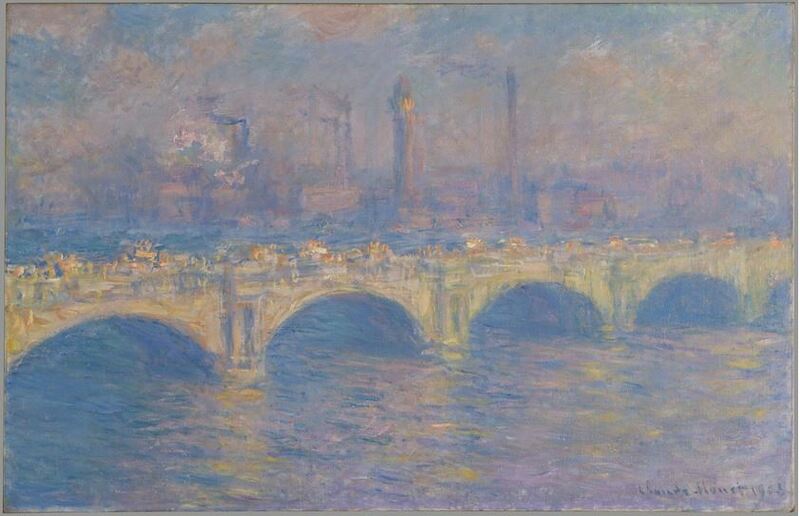 Image: Claude Monet, Waterloo Bridge, London, 1903, Carnegie Museum of Art. Acquired through the generosity of the Sarah Mellon Scaife Family.